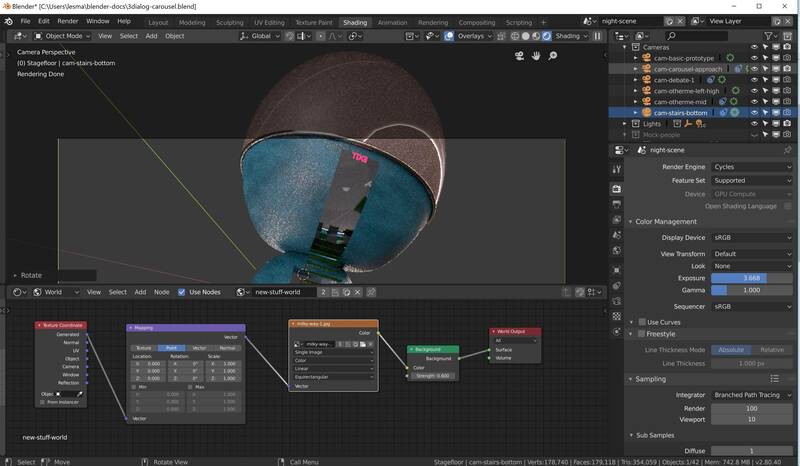 Why does my environment texture show up in Eevee but not Cycles? In the first image, I'm using Eevee with an environment texture -- the star field background is clearly visible. But, if I change nothing but the rendering engine (to Cycles), the environment disappears. This is 2.80 beta (2019-01-07). I get the same result on Windows and Mac, with multiple recent 2.8 beta builds. I found my own answer with endless setting-tweaking: in the Render settings, the Film > Transparency checkbox was selected. The tooltip says "World background is transparent, for compositing render over another background." Serves me right for being a beginner. Not the answer you're looking for? Browse other questions tagged cycles rendering eevee or ask your own question. Why are my render times 30+ minutes, but other people's are ~3 minutes? 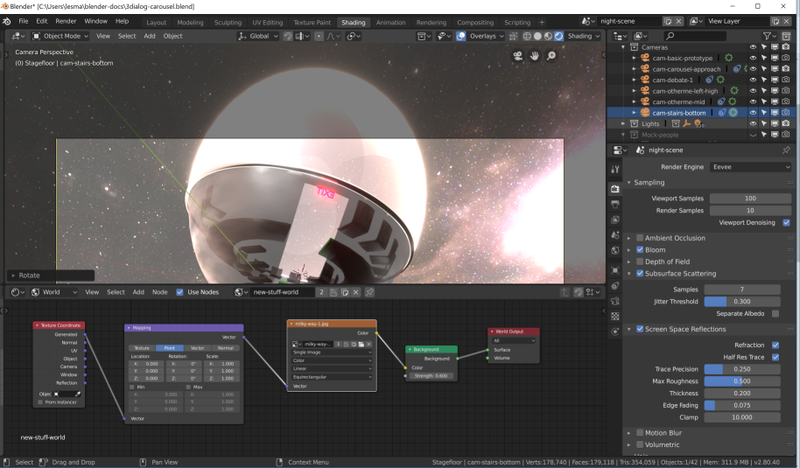 How can I test the Blender 2.8 game engine on Linux?